About Edu Fun: Our mission is to improve English literacy. 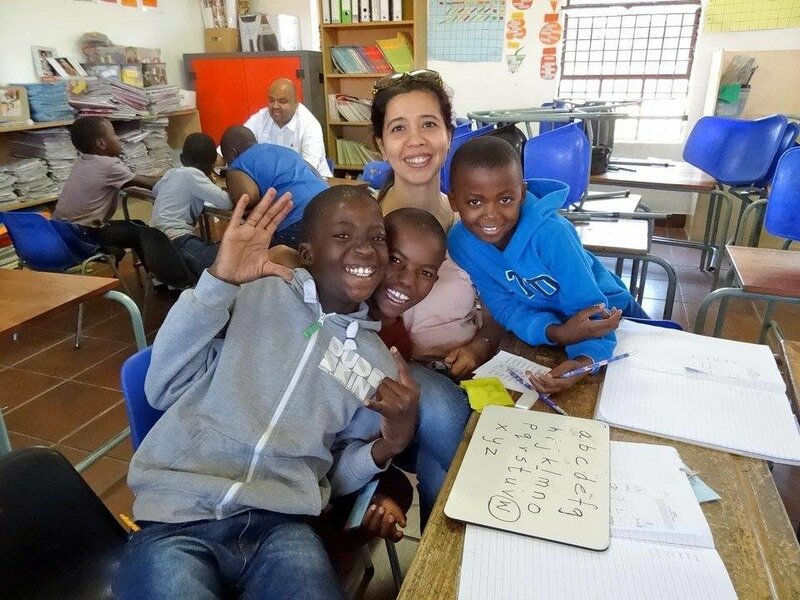 We teach learners in grades 2&3 at Diepsloot Combined School in the informal settlement of Diepsloot, South Africa. 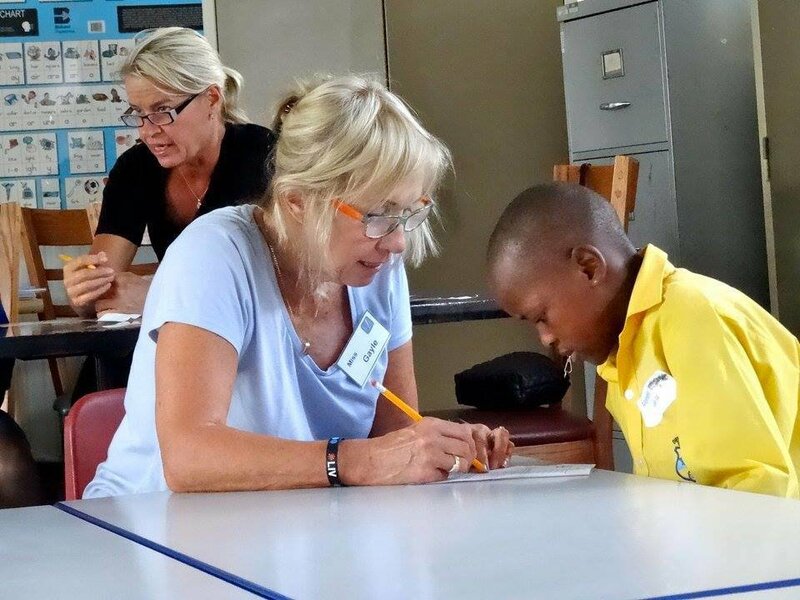 Volunteers teach 3 times per week and lead a holiday art, sport and reading programme. 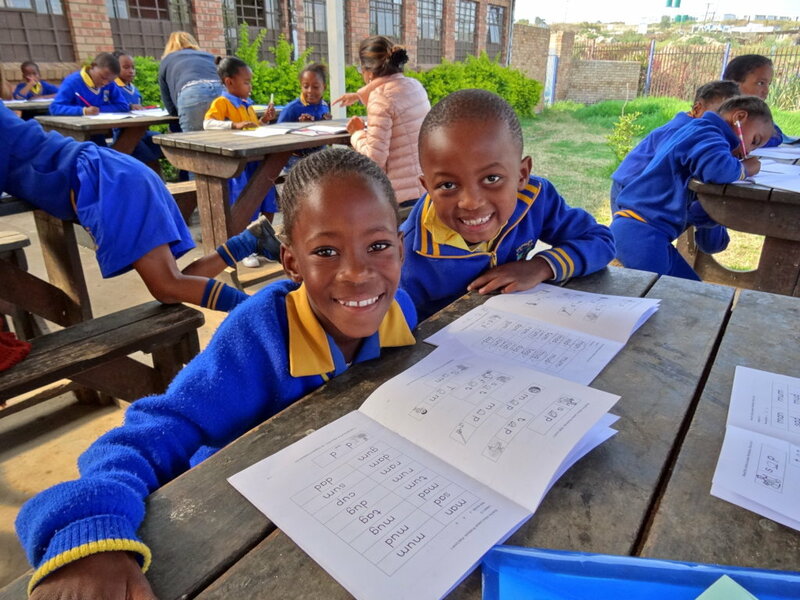 Through our partner projects we also provide school uniform mending, health checks for students, food for vulnerable families, support for teen moms attending school and guidance and financial assistance for learners at university. 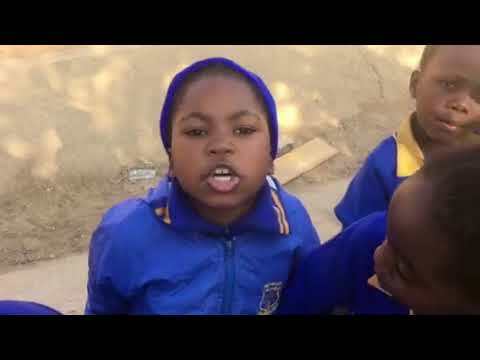 Diepsloot South Africa is home to between 200,000 and 500,000 people. 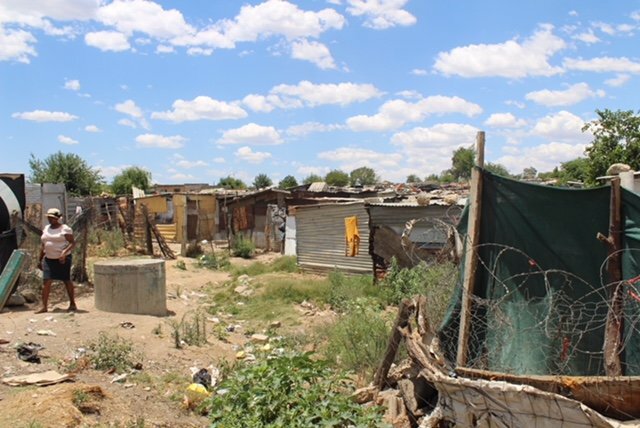 Considered one of the most dangerous and crime ridden communities in South Africa, many residents live in shacks built from found materials without indoor plumbing or electricity. 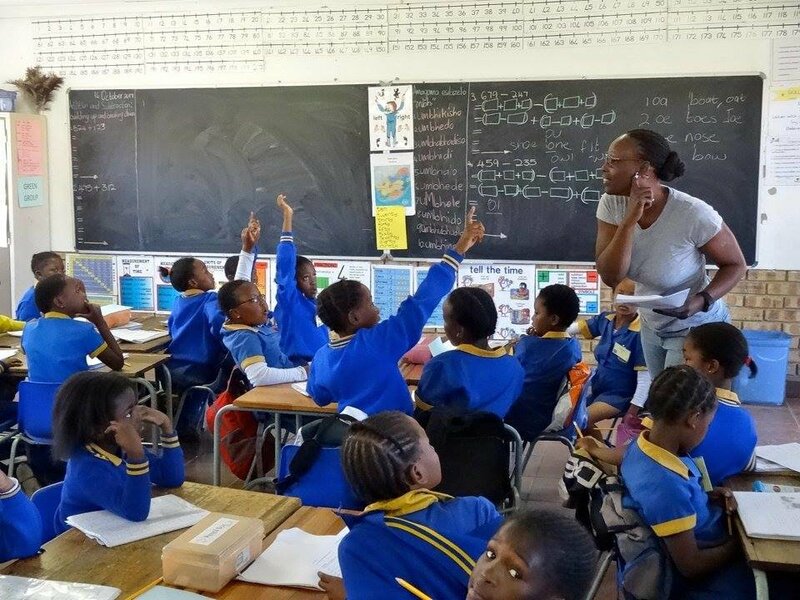 There are over 350 learners in grades 2 and 3 at the Diepsloot Combined School. A large percentage cannot read, spell or write. 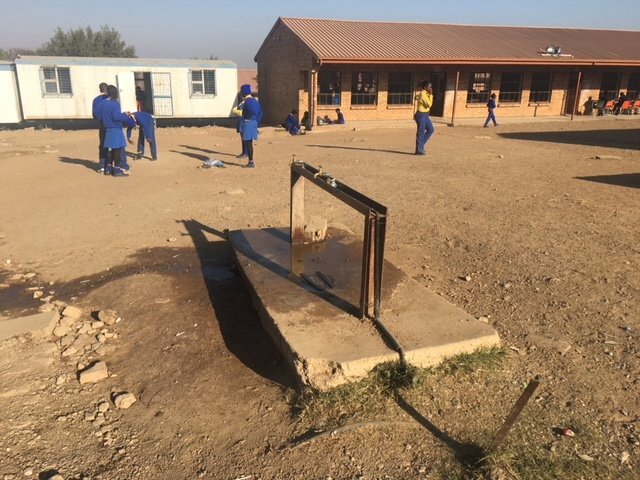 The teachers at the school cope with extremely large class sizes with as many as 70 learners per teacher. Edu Fun trained volunteers assess and group each learner by ability. We provide personalized support to assist with reading, reading comprehension, spelling and writing. We utilise the Phono-Graphix method, a straightforward reading and spelling method developed in America in 1993. Last year student reading skills improved by 60% and spelling skills by 73%. Teachers at the school are also trained in the Phono-Graphix method. The world is a global economy and English literacy is essential for all. Students who can communicate in English and who possess strong reading and writing skills will have greater success in the future no matter the path they choose. They will be equipped to break the cycle of poverty. Buys pencils and stationery for weekly lessons. Allows us to hold an extra lesson on a Saturday for the 35 weakest readers in grade 3. Covers the cost of teaching a learner in grade 3 for the school year including lessons, workbook, field trip to the zoo and holiday party. 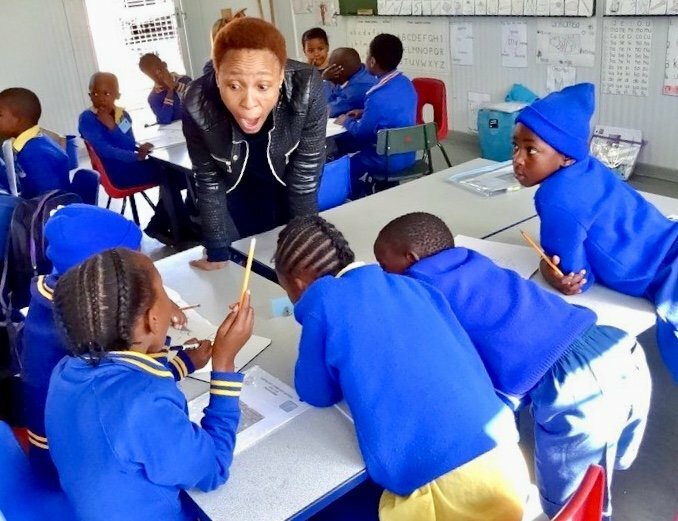 Covers the cost of educational supplies for 162 learners in grade 2. Allows us to provide books and educational games aimed at improving literacy for learners in grades 2 and 3. Covers the cost of all educational materials and printing for our entire 3 day holiday programme for 90 learners in grades 2 and 3. Provides, breakfast, snacks and lunch for our entire three day holiday programme for 90 learners in grades 2 and 3.